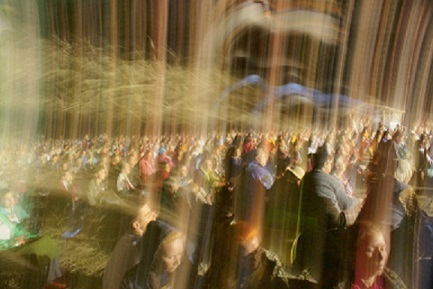 Vatican: "The Jewish wait for the Messiah is not in vain"
"Actual baptism (kundalini awakening) is when this Holy Ghost (Mother Kundalini) rises and you start really feeling the cool breeze (Ruach) on top of your head. This is a miracle. It is!" 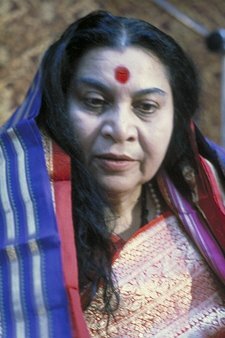 The Paraclete Shri Mataji "The Kingdom of God that we were promised is at hand. This is not a phrase out of a sermon or a lecture, but it is the actualization of the experience of the highest Truth which is Absolute, now manifesting itself in ordinary people at this present moment." "Tell all the nations and tell all the people all over the Great Message that the Time of Resurrection is here. Now, at this time, and that you are capable of doing it." "I think it is important to mention again the other ancient cultures, like those of India, where we find roots of words similar to peninsular Mayan. Valmiki wrote that the Naga Maya brought their culture to India around 2700 B.C., although we believe it was even earlier. We also maintain that they brought their culture to other parts of Asia and to Africa, where they were called Mayax according to Manetho, the Egyptian priest-historian. 4. 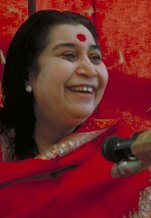 "Shri Mataji's mission is to save as many souls as she can." 5. Question: "Which will be the end of all the world or of humankind?" 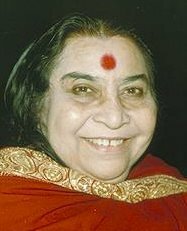 The Paraclete Shri Mataji "Which will be the end of world? Again, futuristic, very futuristic. Let's not talk about the end. Just now is the beginning. When the child is born we just don't think about his death, do we? 8. Qi: "when it goes into man's chest, the man becomes a sage"
"What, if any, are the equivalent Chinese terms for 'spirit' and 'spirituality'? A brief consideration of this question provides some helpful background for understanding how the spiritual dimension of human life is conceptualized and expressed by the Chinese. 9. "Chi serves as the mysterious bridge between God and humanity." 10. Question: "Is the Kundalini the same force that exists all around us as the Chinese call Chi?" "The Chinese, what they have written, it's correct. But Chinese also don't know who is Lao-Tse, can you imagine? Lao-Tse is the man who talked about this thing, He's the one who told them about Kundalini and they don't know who is Lao-Tse. Especially in America, I don't know what sort of Chinese live here. It's such a great source of knowledge, and what they have said is a perfect thing. 11. Question: "In your discourse you refer to the Kundalini as 'she'. Is that because you are a woman?" "No, no, she is the female side. See, she's the Shakti; she's the female side. That's why the quarrel about women and men is all falsehood. There's nothing like that; they exist together. Is like the moon and the moonlight; is like the sun and sunlight; is like the God and the Kundalini; is like the word and the meaning." 14. "It is a living process and a living process of a living God!" 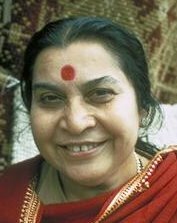 The Paraclete Shri Mataji "So to feel that All-Pervading Power the thing lacking in us is that we have not felt so far the connection, and this connection has to be established — that is possible. Built within us is the Power, what we call Kundalini, which is coiled three and a half, and which rises through six centres to pierce through your fontanel bone area, and you start feeling the cool breeze (Ruach/Pneuma/Qi/Prana/Reeh al-Qiyamah) in your hand. And also the cool breeze starts coming out of your head so you have to certify yourself. Nobody is going to certify you! 15. 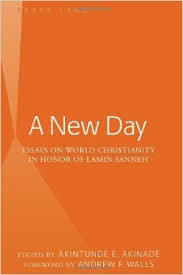 "Jesus was talking to Nicodemus about a new beginning, a fresh start, and a chance to become a new person by entering into a life-changing, personal relationship with God." "The search of Nicodemus is the search of many people in the world: a spiritual search for ultimate answers to life's questions. And like many people, Nicodemus is drawn to Jesus. Though he is not sure who Jesus is, he knows that Jesus is a man who comes from God, recognizing that God is in Jesus in a way distinct from other men. So he goes to Jesus—at night—because he's not quite ready to let just anybody know what's going on inside of him. 16. The Paraclete: "They are authorized to give spontaneous awakening"
1. Sit comfortably on a chair. 2. Take off your shoes so as to have a better contact with the earth. 3. Please familiarize with instructions 1-9 on where the right hand is to be placed on various parts of the body. The initial success and experience depends on your sincerity and pure desire i.e., you want to take part in the Resurrection and Last Judgment, the salvation and eternal life that Jesus promised will be initiated through the Spirit-Paraclete within. The sequence of self-affirmations are designed to confirm that knowledge, free will and desire. "It has shown that revelation—the communication by God to man of that which initially only God can know—takes place, if at all, by contact between God and man on the level of that aspect of a human personality that may be called spirit. Yet also it has shown that there is a certain independence attributed to man. God's Spirit is not forced upon him. He has the capacity for choice." (Moule 2000, 7-8) If you are not ready or do not agree for whatever reason you have that choice; please do not to continue, and perhaps return when you are. You may use the term "Divine Mother"," Mother Kundalini" (Kukulkan)," Holy Spirit/Spirit-Paraclete" (Christians)," Adi Shakti/ Durga/ Maa/ Devi/ Amma" (Hindus)," Ruh Allah" (Muslims)," Shekinah/Ruach Elohim" (Jews)," Prajnaparamita/Tara" (Buddhists)," Aykaa Mayee" (Sikhs)," Tao/Wu Chi" (Taoists)," Thian" (Confucian), or just"God"or"Divine Mother"in any language you are comfortable with.
" (.............), am I the spirit?" (.............), am I my own master? (.............), please give me the Pure Knowledge. (.............), I am my own master! (.............), I am the spirit! (.............), I am not guilty at all! (.............), I forgive everyone in general! (.............), if I have done anything wrong knowingly or unknowingly, please forgive me! (.............), please give me my Self-Realization (Second Birth/ Kundalini Awakening). Put your hand down, meditate and remain in silence for a few minutes, with your attention still on the Holy Spirit/ Spirit-Paraclete / Divine Mother within. After Self-realization meditate twice daily on the Divine Feminine within yourself and begin purifying your mind, body and soul. That is all it takes to participate in the Last Judgment and Resurrection, the promised evolution of humans into the eternal spirit and everlasting life as promised by each and every religion and holy scripture. Above all, it (eternal life through the Resurrection) was repeatedly promised and finally demonstrated by Jesus Christ after His crucifixion, a promise now delivered and fulfilled through the Paraclete sent in His name by God Almighty. Daily meditation—the innermost intimacy with the Divine (Silence on Self) in the Sahasrara (Kingdom of God)—and experiencing the Divine Wind is key to participating in the Last Judgment and Resurrection. There is absolutely no need for any existing religious rule, ritual or ruler. Please do not corrupt its purity and sacredness with any human innovation. His Holy Spirit within will perfect you for the eternal afterlife. You will bear witness to your own resurrection and your own Spirit/Self. The spiritual journey within oneself must thus never ever be contaminated by human novelties or religious doctrine! The only guide you will ever need is the Divine Mother/Holy Spirit/Devi within, the Source of Consciousness. 19. 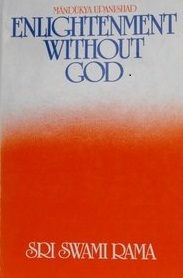 "Jesus had limited what He told the disciples because of their inability to understand"
The Paraclete Shri Mataji "Actually, thank God they have found out now the book written by Thomas who has described Gnostic way of life, where gnya means 'to know.' In Sanskrit language, gnya means 'to know,' gnya. 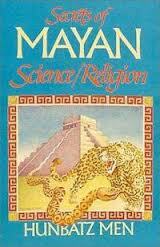 So he has described very nicely the gnostic life. This was the Gnostic Bible, or whatever we call it, saying about a personal experience of achieving God realization, Self-realization (baptism). 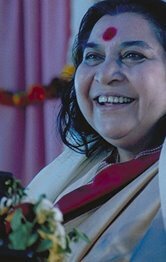 It talks about Sahaja Yoga (spontaneous* salvation*) out and out." 21. "The preachings of religion make a person dependent on priests, temples, idols, blind faith, and dogma"
"The Self is the Spirit. 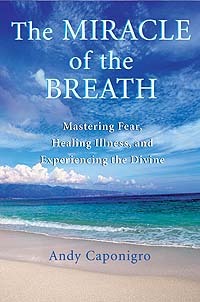 This Spirit resides in the heart of every human being and is in a witness-like state. The Spirit is the projection of God Almighty, while the Kundalini is the projection of the power of God, of His desire which is the Primordial Mother, or you can call it Adi Shakti, Holy Ghost or Athena. 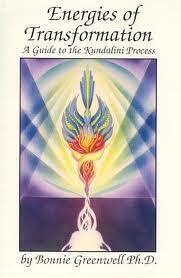 So the Kundalini is the projection of the Holy Ghost, while the Spirit is the projection of God Almighty. The All-pervading Power of love is the power of the Primordial Mother, which creates and evolves, and does all the living work." Disclaimer: This non-profit site contains copyrighted material the use of which has not always been specifically authorized by the copyright owner. 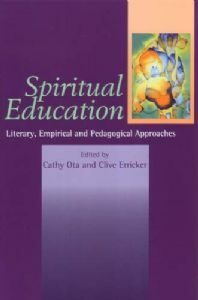 We are making such material available to our readers under the education and research provisions of "fair use" in an effort to advance a better comprehension of controversial religious, spiritual and inter-faith issues. If you wish to use copyrighted material for purposes other than "fair use" you must request permission from the copyright owner. 1. The Paraclete: "Every religion has talked about our second birth." 4. 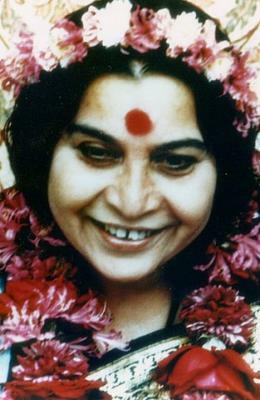 Shri Mataji's mission is to save as many souls as she can." 9. 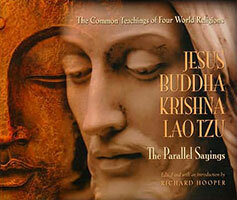 Chi serves as the mysterious bridge between God and humanity. 14. It is a living process and a living process of a living God! 15. Jesus was talking to Nicodemus about a new beginning ... by entering into a life-changing, personal relationship with God.